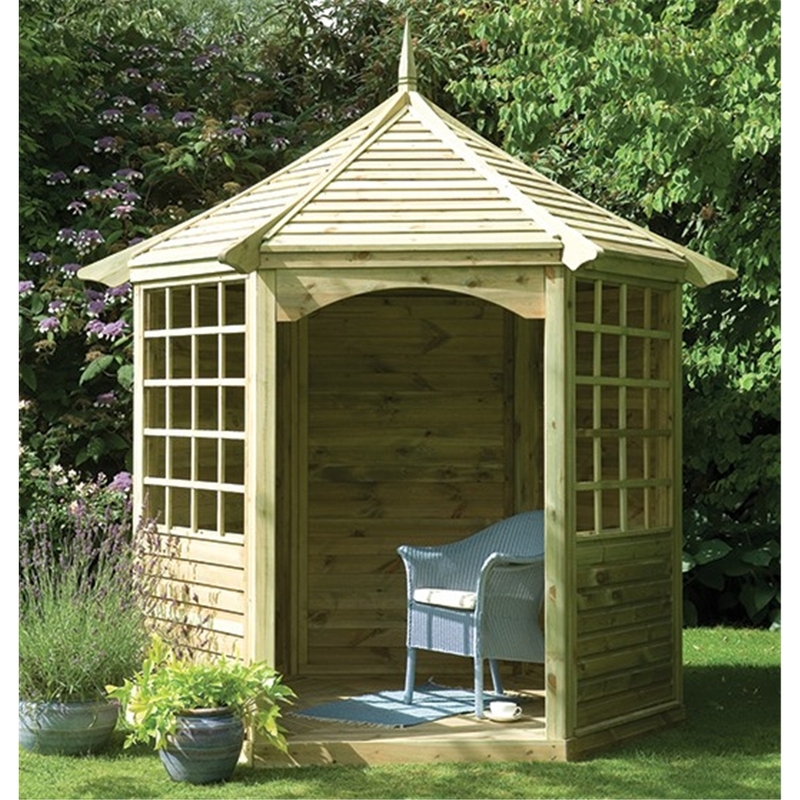 The Cecilia Gazebo is the ideal addition to any outdoor space, its the perfect place to relax or even entertain guests. This product includes three solid back panels which provide you with added protection from the wind and rain, making it ideal for any kind of weather. 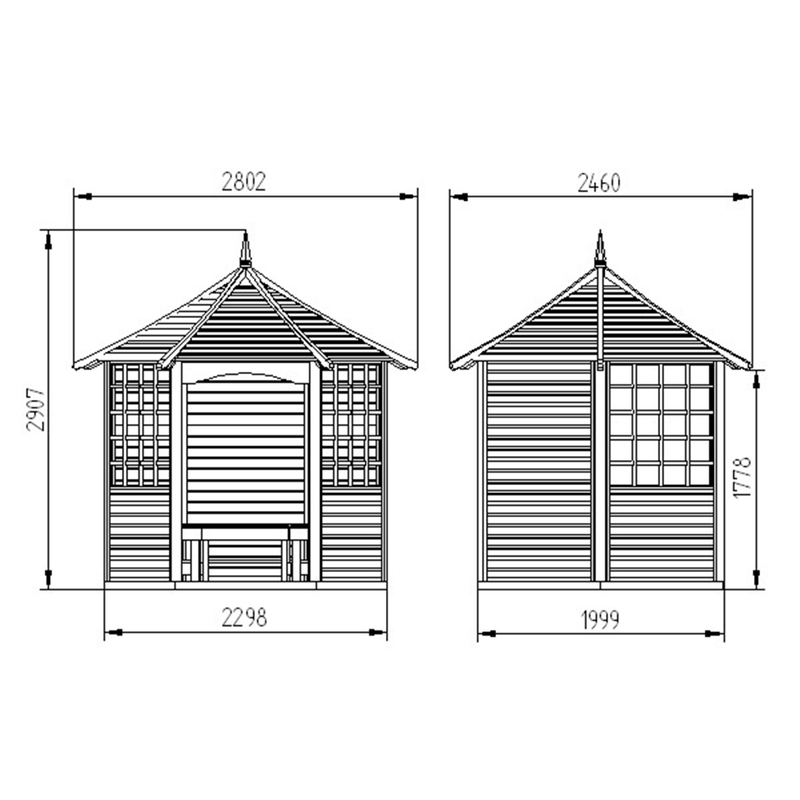 The gazebo is supplied with everything that you need to assist you with a easy and straightforward build, including three flat packed timber benches and a integral timber floor.